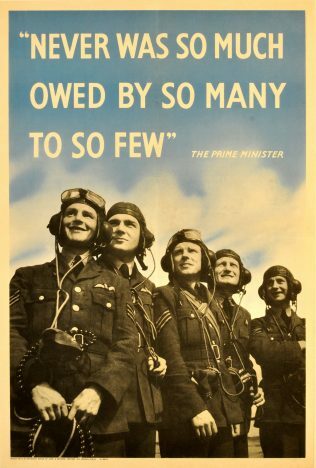 Blitz over Bexley is dedicated to the brave RAF pilots who saved Britain from invasion and are remembered each year on 15th September, Battle of Britain Day. In 2017, children from St Paulinus Primary CE School, Crayford discovered how their area was heavily involved in the events that led up to the creation of the Royal Air Force. Through the story of 2nd Lt Wilfred Salmon they learnt about the devastating German Gotha bomber raids of the summer of 1917 that led to the formation of the Royal Air Force (R.A.F.) in 1918. The 1st April 2018 is the centenary of the R.A.F. To honour this anniversary, Y6 at St Paulinus moved their research to WW2 to find out how their area was involved in what is now seen as the RAF’s finest hour, 15th September 1940. Today this day is marked as Battle of Britain Day, as this was when the Luftwaffe launched a daytime raid consisting of 600 fighters and 500 bombers against London. The RAF responded by sending up 620 fighter aircraft to intercept them, and over the course of the day the skies above Bexley were filled with dogfighting aircraft. Following the failure of the raid, and the continued failure of other raids to destroy the RAF or British spirit, Hitler cancelled the planned invasion of Britain and the Luftwaffe stopped carrying out raids during daylight hours. ‘ The Few’ a small band of fighter pilots had achieved a miracle.